Finally I did it! The amazing Sparkassen Gala meeting gifted me with my first sub-10, 9:58.22 to be accurate. Given the high level of the field I had to run most of the race alone (finishing last, even if a slower competitor dropped out). But the crazy support of the LG Nord Berlin team, and particularly of the chairman Klaus Brill, injected me with a fair amount of motivation. Keeping the pace appeared incredibly easy and I have been confident almost all the race that I could do it. The splits revealed a solid sequence with 3:15/3:22/3:21, with a quite relaxed second km. Perspectives now clearly changed. Translating a difficult target into reality gives you the chance of looking at things differently. Now I’ll slow down a bit, aiming to increase the mileage from the second half of August focusing on preparing some longer stuff before the exciting winter season. A crowded start in Regensburg. Mo 01/06/2015 25′ progression, 4×100 m strides (100 m jog rest). Th 04/06/2015 Slow 25′ with some hurdles and strides, stretching. 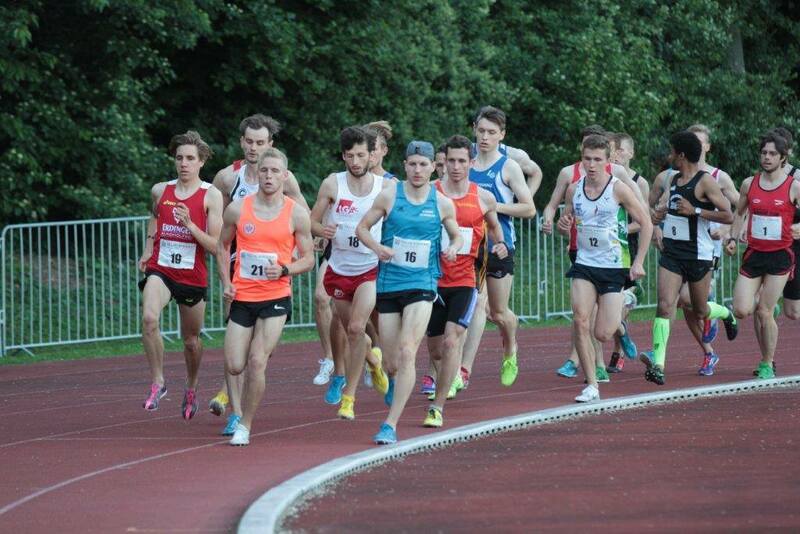 Fr 05/06/2015 RACE: 3000 m SC (Sparkassen Gala Laufnacht – Regensburg). Su 07/06/2015 Arms and core strength. 50′ with 30′ XC. Mo 08/06/2015 Easy 50′ with some progression. We 10/06/2015 15′, 3x(30-60-90-60″, same time jog rest), CD. Sa 13/06/2015 170′ sailing (Flying Cruiser). Su 14/06/2015 110′ sailing (Laser Bahia). Tu 16/06/2015 Easy 25′, 2 strides on grass, 2×150 m strides, 1×1000 m in 2’58”, 4′ walk rest, 1×2000 m in 6’27”, 4′ walk rest, 3×400 m in 70″ (200 m jog rest), CD. We 17/06/2015 Slow 30′, legs, arms and core strength. Fr 19/06/2015 Slow 20′ with some random strides. 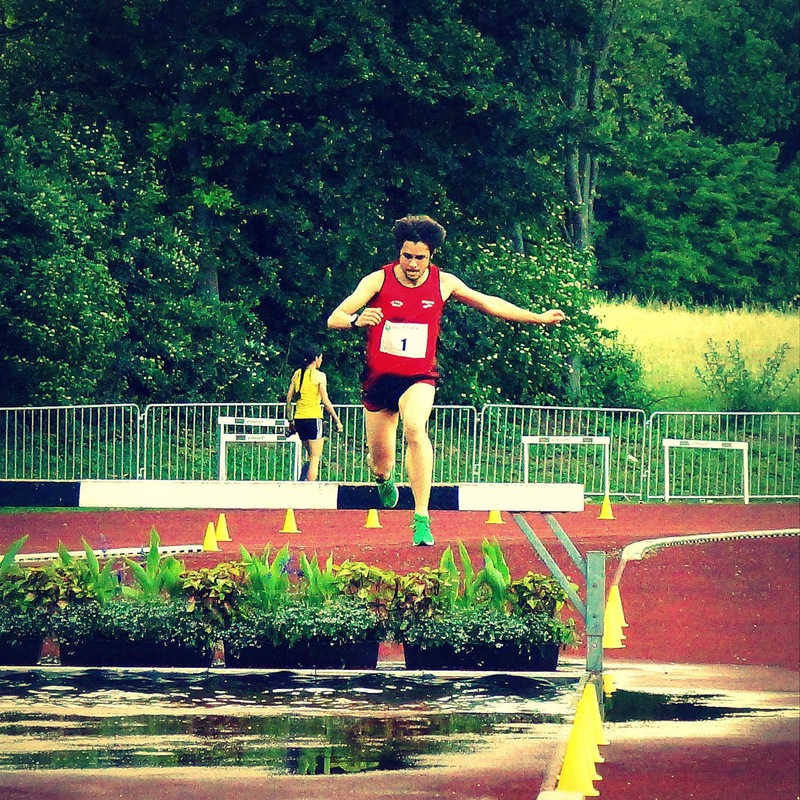 Sa 20/06/2015 RACE: 5000 m (NDM Göttingen). Su 21/06/2015 Easy 20′, 2 strides, 5×200 m uphill strides (downhill jog rest), CD. 50′ jog. Tu 23/06/2015 30′ progression, 5×100 m strides (100 m jog rest), CD. We 24/06/2015 RACE: 5 km road (16. Berliner Wasserbetriebe 5 x 5 km TEAM-Staffel, Day 1). Th 25/06/2015 RACE: 5 km road (16. Berliner Wasserbetriebe 5 x 5 km TEAM-Staffel, Day 2). Sa 27/06/2015 60′ easy MTB. Su 28/06/2015 Easy 20′, 2 strides on grass, 3×300 m (48″3-46″6-45″3, 100 m jog rest), easy 3×200 m (200 m jog rest), CD. Easy 40′. Tu 30/06/2015 Easy 25′, 3 diagonal strides on grass, 1×400 m (57″8), 6′ walk rest, 300-200-100 m (43″5-31″0-13″8, 200 m jog rest), 6′ walk rest, 6 diagonal stride on grass, CD.